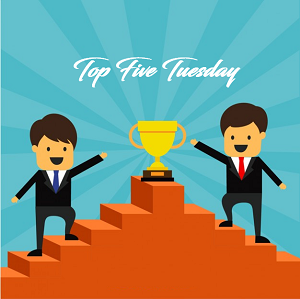 Top 5 Tuesday is weekly meme hosted by Shanah and this week’s topic is Top 5 Books I Read as ARCs. 5- The Light Between Worlds (Haven’t read it yet and it is next on my TBR but if the inside matches the cover then it will be great). 3- Sea Witch (This book was good but slow, patience is key if you are willing to enjoy this one). 2- The Deepest Roots (I never thought I would enjoy a magic realism book until this one). 1- What If It’s Us (My favortie ARC and Fav LGBT read thus far). Ooo.. I can’t wait to see if you like The Light between Worlds!! Haven’t read any of them unfortunately but really looking forward to read Sea Witch! Great choices! I haven’t read any of these yet but definitely am in love with the Light Between Worlds cover! Can’t wait to hear your thoughts on that one.